Candy's vet check went really well. Her eye isn't causing her any pain which is a good thing and she is holding it wide open and blinking fine. The vet seems to think that just leaving it might be the best option at the moment. We are bathing it with chamomile tea 4 times a day and its looking so much better already. 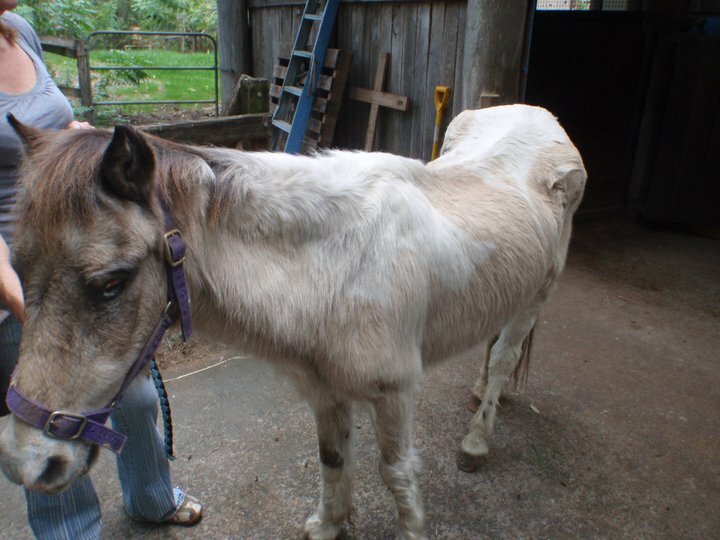 She is an aged pony so surgery might not be the best option at this time. We will monitor her and cross each bridge as it comes. Candy has picked up so much in the 2 weeks she has been in care. 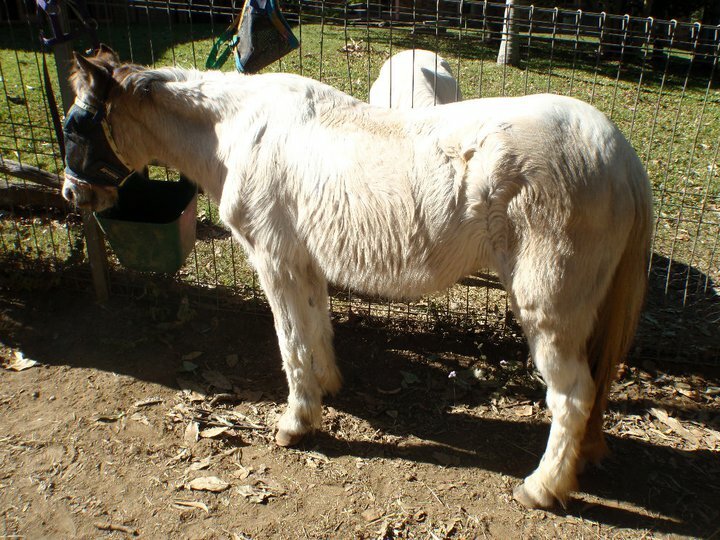 Would you like to sponsor a rescue horse? ?